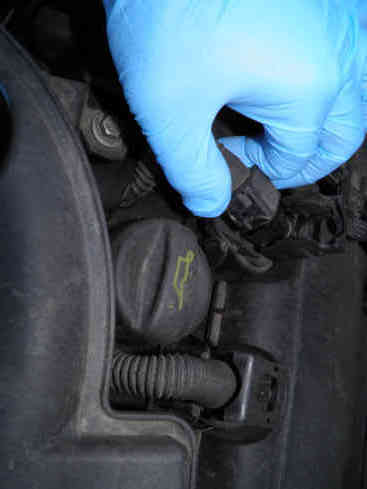 Replacing the spark plugs on Peugeot 3008 - 5008 and all EP6 engines. 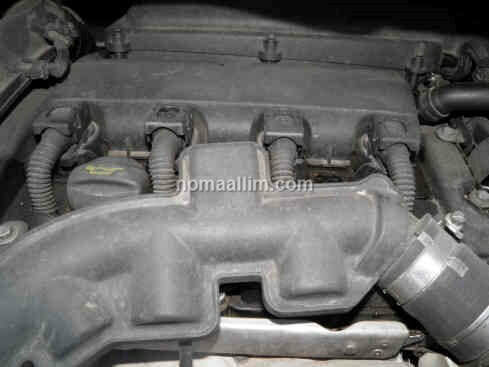 The below works concerned a Peugeot 5008 equipped with a turbo-charged PSA BMW EP6 engine. 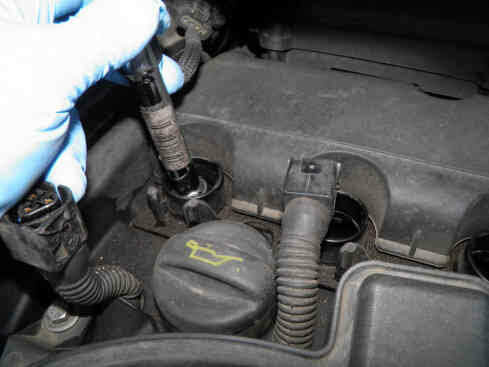 Same or similar engine and turbos can be found on Peugeot 207, 208, 308, 508, 3008, 5008 and Citroen C4, C4 Sedan, DS3, DS4, DS5 also the Mini Cooper S.
Start by buying the spark plugs and checking that you do have the right socket, a 14mm 12-point socket. 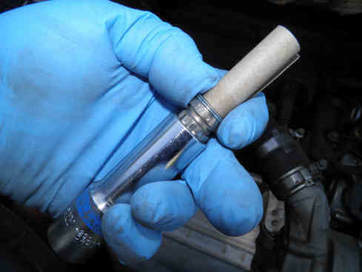 Without any tool, disconnect the coils and pull them up to extract them. Gently introduce he socket with a 20 cm extension then add a 5 cm extension, fit the ratchet handle and unscrew all spark plugs. 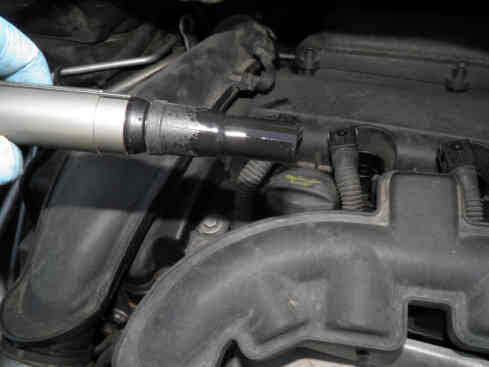 Use a magnet pick-up tool to take out the spark plugs. 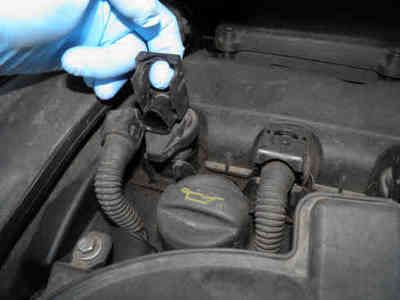 Inspect them one by one. 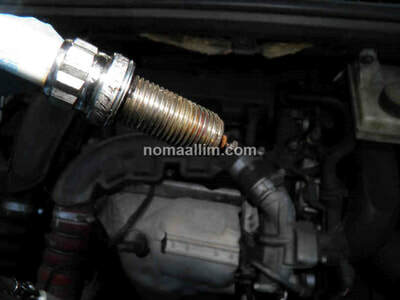 See also our advice for iridium spark plugs. Hold the new spark plug with your finger to the wall of its well and let it go down slowly. 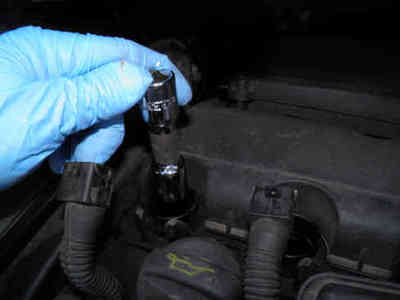 Use again the 14mm 12-point socket and extension to tighten the spark plug by hand. 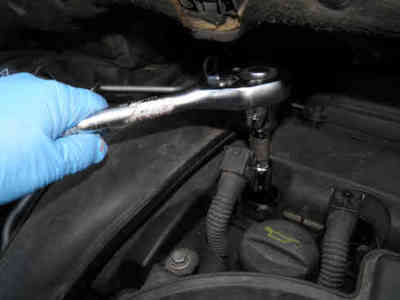 Do not use the handle at this stage. 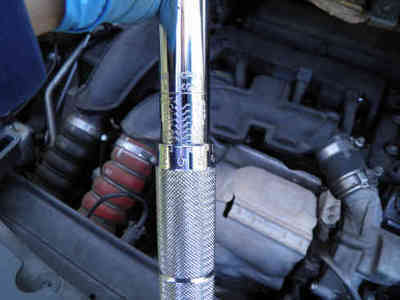 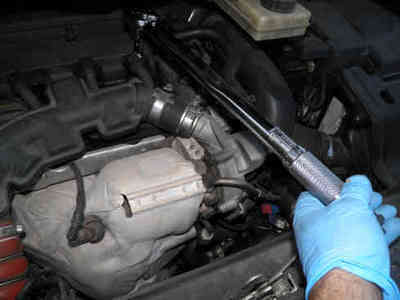 Then use a torque wrench set at 2.5 mKg for tightening the spark plugs. If you have no torque wrench, tighten by 1/8th of a turn after firm contact. 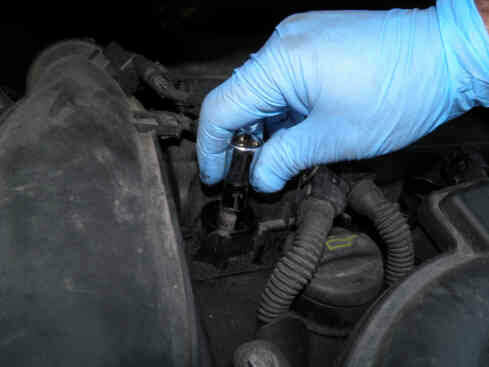 Apply one coat of silicone dielectric grease to the boots of the COP's before refitting them. 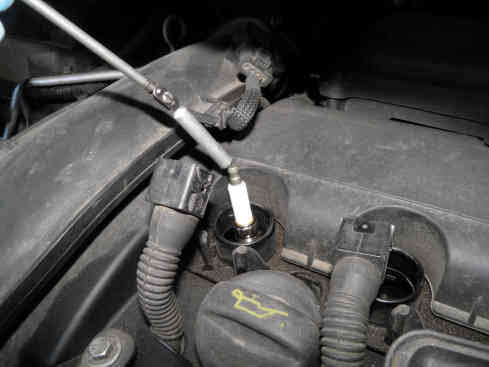 See our specific tip for preventing high voltage leaks from EP6 engine coils.